A Morgantown woman was arrested on West 7th Street in Hopkinsville for a Logan County warrant Sunday morning. 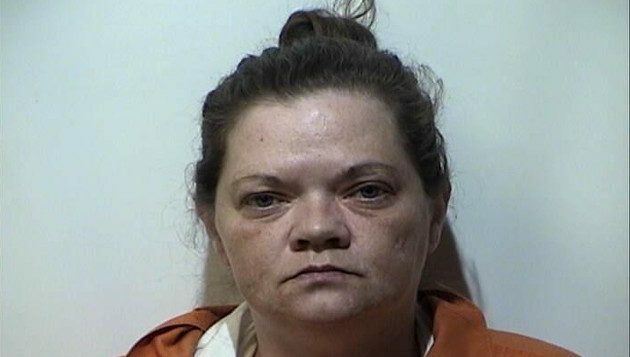 According to a Hopkinsville Police report, 43-year-old Janice Leek reportedly went to a Nashville Road home in Logan County on December 29th and told Rayford and Diane Scales that her landlord Molly Johnson was about to kick her and child out over unpaid rent. Leek allegedly identified herself as Michelle Embry and got a check from them for $450 dollars. Molly Johnson then took the check and cashed it at Auburn Bank were police recovered surveillance video, the bank teller asked for her ID, but she stated she didn’t have her ID and gave the teller Leek’s social security number. Leek is charged with wanton/reckless export adult by person.